No, this post is not about my thinking regarding flora or my handling of plant material. It’s about a provocative and fascinating Michael Pollan piece in this week’s New Yorker magazine. The Intelligent Plant: Scientists debate a new way of understanding flora. According to Daniel Chamovitz, an Israeli biologist who is the author of the recent book What a Plant Knows, [The Secret Life of Plants] stymied important research on plant behavior as scientists became wary of any studies that hinted at parallels between animal senses and plant senses.” Others contend that “The Secret Life of Plants” led to “self-censorship” among researchers seeking to explore the “possible homologies between neurobiology and phytobiology”; that is, the possibility that plants are much more intelligent and much more like us than most people think—capable of cognition, communication, information processing, computation, learning, and memory. That’s the backstory to Pollan’s fascinating review of the work plant neurobiologists are doing today. That research is covered in depth in Pollan’s piece. I’ll recount just one example, experiments on Mimosa pudica, better knows as the Sensitive Plant. Most of us are familiar with the way the leaves of this plant respond immediately to touch by folding up, presumably to frighten away insects. The leaves also collapse when the plant is dropped. 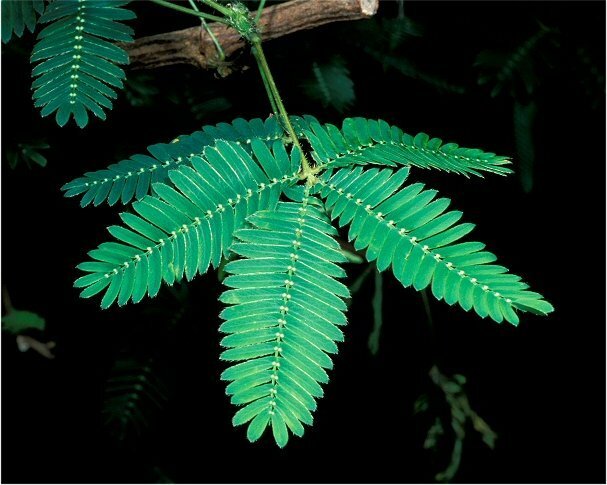 Monica Gagliano, an animal ecologist at the University of Western Australia based her experiment with the sensitive plant on a set of protocols commonly used to test learning in animals. Her unpublished paper was presented at a scientific conference at the University of British Columbia in Vancouver, B.C. She potted 56 mimosa plants and designed a system to drop the pots from a height of fifteen centimeters every five seconds. Each training session involved 60 drops. Gagliano reported the mimosas sarted to reopen their leaves after just four to six drops; and by the end of the series their leaves remained completely open as if they concluded this stimulus could be completely ignored. Another fascinating example Pollan detailed concerned underground plant networks that forest trees establish using mycorrhizal fungi to connect roots and enable the exchange of information and even materials. Dubbed the “wood-wide web” by researchers, it allows scores of trees in a forest to convey warnings of insect attacks, and also to deliver carbon, nitrogen and water to trees in need. So if your interested and can’t access the article online (or wait for Pollan’s next book) grab a copy of this week’s New Yorker from a magazine rack. After you’re done reading it, like me, you might no longer feel sheepish about talking, singing and engaging with the plants in your own garden. 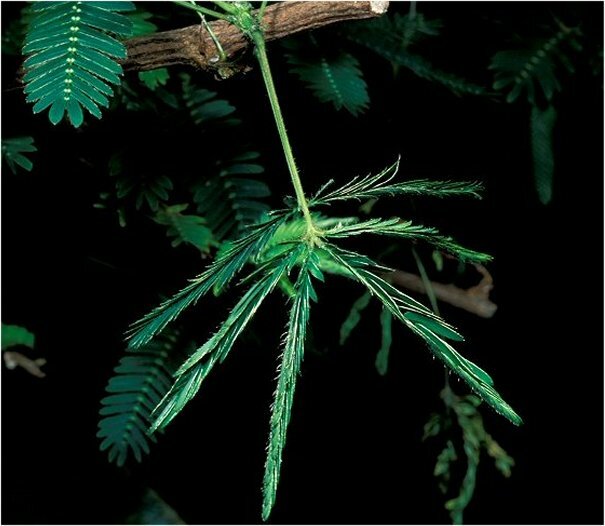 This entry was posted in Plant People, Techniques and tagged Michael Pollan, Mimosa pudica, Monica Gagliano, plant neurobiology, Sensitive Plant, wood-wide-web by Bart Arenson. Bookmark the permalink. Sounds pretty interesting. It does seem like plants do a lot of stuff that we don’t yet understand. I’ll try to get a copy of that New Yorker.